WPS Office (formerly Kingsoft Office) is a powerful, cross-platform office suite which support iOS and Android, as well as Windows and Linux PCs and offers a number of features for creating, viewing and editing personal and business documents. It's an alternative to expensive Microsoft Office software, used by over 460 million people worldwide and offers three reliable office programs: WPS Writer, WPS Presentation, and WPS spreadsheets, plus PDF tools to fulfill all of your document needs. WPS Office is available in three editions: Free, Premium and Professional/Business. Compare WPS Office 2016 editions. The free version of WPS Office is provided for personal use only and is not allowed to be used for commercial purpose. 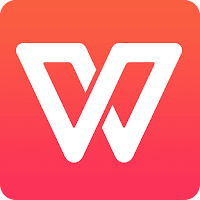 Disclaimer: Direct downloads for the lastest version of WPS Office 2019 10.2.0.7635 are provided by the official software's author, we can't guarantee safety, availability or download speed. Moreover, we don't and we won't provide any pirated/illegal versions or tools. We recommend you to avoid it as these methods can harm your device. If you like the software, buy it to support the developers. (We provide software discounts for many worldwide brands).